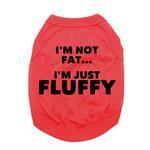 Boost your pet's confidence with the "I'm not fat... 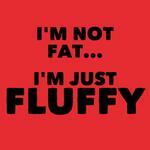 I'm just fluffy" Dog shirt in Red. 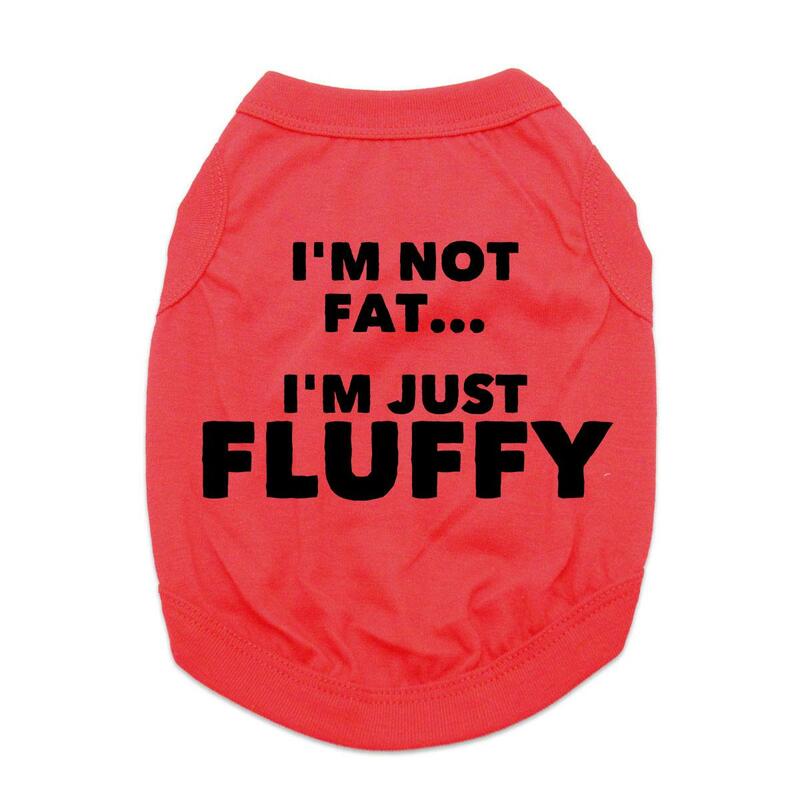 Show off your dog's fun side with the Not Fat Just Fluffy Dog Shirt. The sleeveless style and soft 100% cotton keeps your pup feeling comfortable even while they're sporting a bit of extra fluff. This dog tank top also features a high-cut, stay-dry belly for the ultimate comfort and convenience. Machine wash cold and dry flat for best results. I love what I've seen so far!